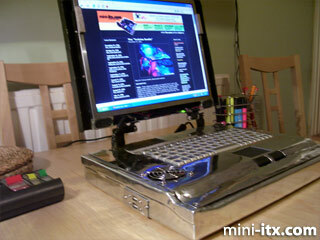 mini-itx.com - news - The "ITX-Laptop"
Torquil Harkness disappeared into his shed armed with a bundle of components, an angle grinder and mig welder and emerged several days later with his very own fully upgradable 2.0GHz Mini-ITX powered aluminium laptop. When he told the store what he was going to do we didn't quite believe him. We do now Torquil. 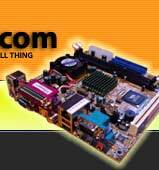 The next version will have SATA RAID.